Have you been told you have Tendinopathy? Tendinopathy, is an umbrella term to encompass different tendon disorders. Tendinopathy, also known as tendinitis or tendinosis, is a type of tendon disorder that results in pain, swelling, and impaired function. 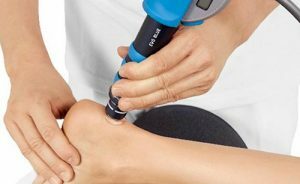 Extracorporeal shockwave therapy is excellent tool for tendinopathy treatment, check out our ESWT page for further information.